Order was restored to the chess universe as World Champion Magnus Carlsen ended a run of two defeats with victory over Shakhriyar Mamedyarov in the sixth round of the Gashimov Memorial. We have Jan Gustafsson’s exclusive commentary on that curious game, as well as a Peter Svidler anecdote on Carlsen’s killer instincts on the football pitch. 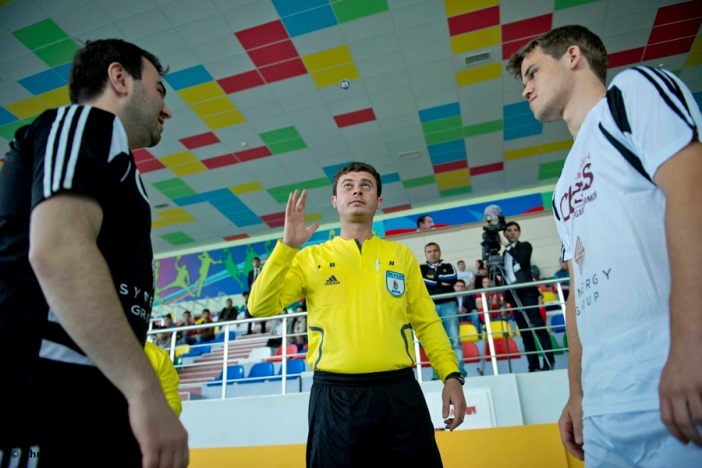 The day’s other two games were relatively tame draws, enabling Carlsen to join Teimour Radjabov in pole position. Let’s start with the supporting cast. 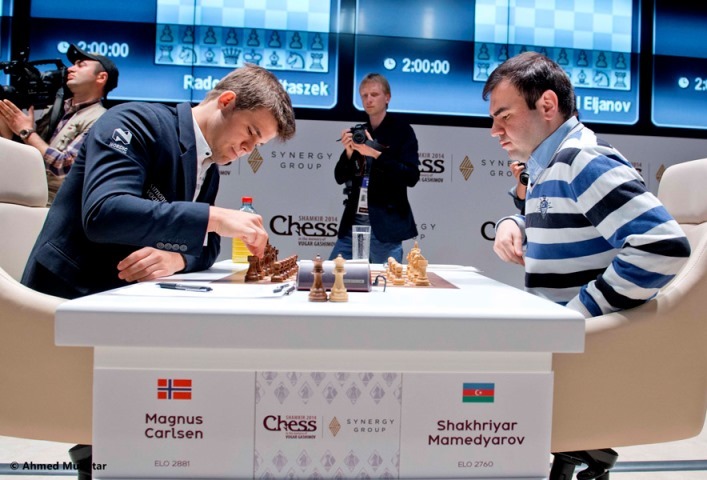 If you took Carlsen (3 wins, 2 losses) and Mamedyarov (1 win, 3 losses) out of the equation the A Tournament in Shamkir wouldn’t have seen a single decisive result, even if it hasn’t exactly been for a want of trying. Just because they’re draws doesn’t mean that they’re boring. This was overwhelmingly the game of the round, and just what Carlsen needed after his previous woes. The question of whether to stabilise by playing for a draw (the old Botvinnik (?) 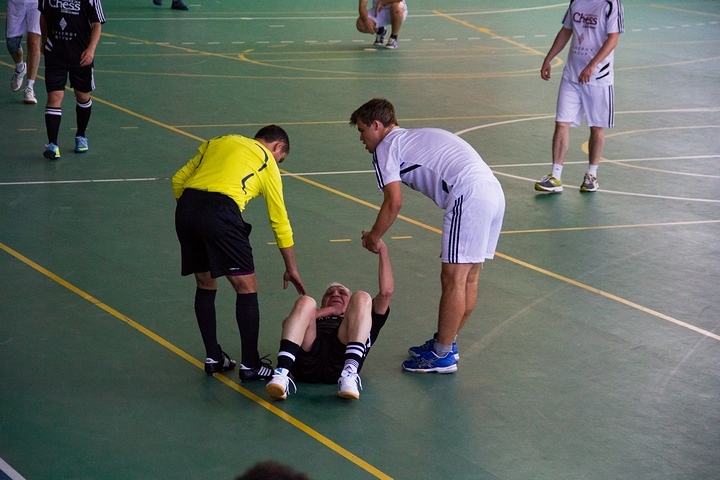 wisdom after two losses in a row) or go all-out to beat the bottom-placed player, was taken out of his hands by his opponent’s choice of opening. Mamedyarov insisted it was deliberate (Houdini gave him moral support with a consistent evaluation of +0.2-0.3 for White) but it left him more or less needing to mate Carlsen’s king to justify his play! To be fair, he wasn’t all that far away in the end, but he blew his chances in a single move. 1. d4 No surprise. Mamedyarov always remains true to his variations and is one of the few, if not the only, world class player who invariably starts with this move. He even as good as never plays the closely related 1. Nf3 and 1. c4. 1... ♘f6 2. c4 e6 In the recent past Carlsen has also remained true to this move-order and the related Nimzo-Indian/Queen's Gambit/Queen's Indian variations. 3. ♘c3 ♗b4 So far so familiar, and at this point Mamedyarov usually varies between his two favourite variations. 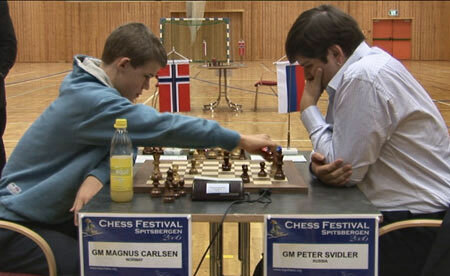 4... d5 One of the main moves and a speciality of Carlsen's coach Peter Heine Nielsen, who's there on the scene. 4... d6 was Carlsen's choice in his last outing against Qc2. In that game he faced Mamedyarov's compatriot Radjabov but needed to win (it was the penultimate game of the 2013 Candidates in London and the older among you may remember the head-to-head race between Carlsen and Kramnik) . Carlsen: I was basically out of book on move 5, so any preparation I did was for nothing. That’s fine. It’s more interesting when we just play chess and not everything is decided by preparation. 6. ♗g5 The ensuing position could have arisen from the familiar Vienna Variation: 1. d4 Nf6 2. c4 e6 3. Nf3 d5 4. Nc3 dxc4 5. Bg5 Bb4. At this point hardly anyone would happen upon the move 6. Qc2. 6. a3 is perhaps a better attempt to justify White's recent moves, but after 6... ♗xc3+ 7. bxc3 c5 Black at the very least faces no problems. The queen on c2 looks a bit out of place in all of these lines. Black has had to drastically weaken his king position in order to be able to enjoy this pawn. In this game nothing of the sort was required. 7. a4 c6 The only move to prevent the black pawn chain from being blown up. 8. ♗xf6 is a tricky try, with the idea 8... ♕xf6 (8... gxf6! 9. axb5 cxb5 10. ♕e4 ♕d5 ) 9. axb5 cxb5 10. ♕e4 and the rook on a8 has been caught. Even this isn't fatal, but it's not necessary - 8...gxf6 is a good move. 10... ♕g6 11. ♕xa8 ♕c2 with sufficient counterplay to compensate for the pawn. 14. e5! ♘d5 15. ♗xh6‼ which Carlsen himself pointed out in the press conference. 15... gxh6 16. ♕d2 White exploits a pretty geometric motif to create play due to the double threat of Nxd5, winning a piece, and Qxh6 with an attack on the king. I can't find anything better than 16... ♕d8 (16... ♗xc3 17. ♕xh6 ♖fe8 18. ♘g5! is curtains ; 16... ♔g7 17. ♘xd5 ) 17. ♕xh6 ♕e7 18. ♘g5 f6 19. ♕g6+ ♔h8 20. ♕h6+ with perpetual check. 14... ♗c5 was also quite possible. 15... ♕d8⁈ The World Champion commits another inaccuracy. Even if it looks strange the modest a7-square was the one to choose! 15... ♗xa5⁈ 16. dxe6 fxe6 17. e5! illustrates Mamedyarov's idea. 17... ♗xf3 18. ♗xf3 ♘xe5 19. ♗xa8 ♖xa8 20. ♘e4 with complex play. 16. dxe6 fxe6 17. ♘h4! Now this is possible. White has managed to create a couple of weaknesses in the black camp and also has the plan of f4 followed by e5. As of this point there's good reason to talk of an "unclear position" and "compensation for the pawn". 17... ♕e8? 18. e5 ♗xg2 19. exf6 ♗b7 20. fxg7 loosens the black king's protective shield and explains why Carlsen first parts with his bishop. 19... ♖d8 With the bishop pair and the black pawn mass immobile on the queenside there are now plenty of factors working in White's favour. Black also currently has dangerously little space for his heavy pieces (xd8, xe8, xf8). White is ok! 20. h3 Taking away the option of Ng4 and preparing g4. 20... ♖f7 Carlsen attempts to coordinate his forces by clearing the f8-square for the knight. The rook can enter into play via d7. This operation nevertheless comes only at the cost of the extra pawn on c5. 20... e5 was already worth considering here. 22. ♖e1! and anything can happen. The perils of the black position are illustrated by something like 22... exf4⁉ (22... ♘f8 23. ♘f5 ; 22... ♘h5 , with chaos, is the computer's recommendation. 23. ♕d2 ♘xg3 24. fxe5 ♕xe5 25. ♘g6 ♕e8 26. e5 ♗xg2 27. ♕xg2 ♘f5 28. ♗f2 is a conceivable right mouse button variation - just don't ask me who's better and why. "Unclear" ) 23. ♗xf4 ♘f8 24. ♘f5! and the white activity assumes alarming proportions - e5 is in the air. 22... ♘f8! Suddenly everything goes like clockwork. The active rook is exchanged, its black colleague can invade via d7 and d3, the queen will go to c6 or a8 in order to attack e4, and even the knight on f8 can quickly enter via h7 and g5. The difference now is that the white knight on h4 lacks access to f5 and can only stand by and watch. 23. ♖ad1 put up a little more resistance: 23... ♖xd6 24. ♖xd6 ♖d7 25. ♗xc5 ♕d8! 26. ♖xd7 ♘8xd7 27. ♗b4 ♕a8! and e4 falls. Black is clearly on top. 23... ♖xd6 24. ♗xd6 ♖d7! Suddenly nothing works anymore. Black is simply too active. 25. ♗b4 ♘8h7! with Ng5, Rd3 and xe4 to follow. 26. ♕f2 ♖d3 also can't save the situation. 26... ♕c5+ 27. ♔h2 ♗xe4! and Mamedyarov had seen enough. 28. Bxe4 Rxd1 29. Qxd1 and the powerful threat of Qf2 will prove decisive. Even exchanging queens is fine for Black now as all endgames will easily be won. A surprisingly rapid collapse from Mamedyarov after he'd fought his way back into the game. Carlsen didn't make his usual dominant impression, and with 0-0 and Qd8 inaccuracies crept into his play and allowed Mamedyarov back into the game. 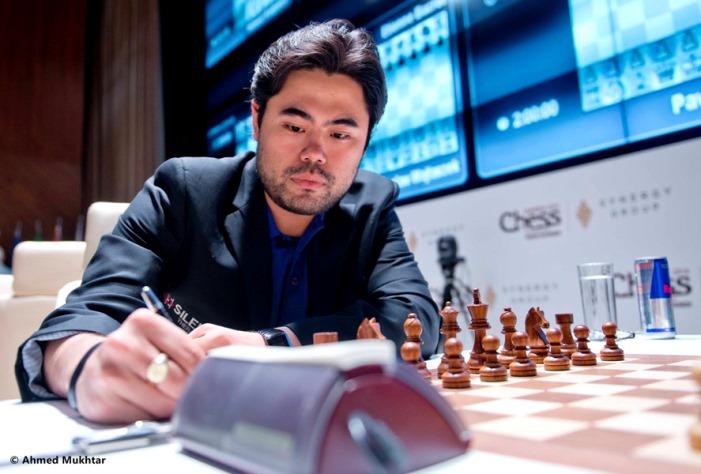 Nevertheless, the win will undoubtedly give him a boost, and despite the collective outcry of the chess world over his two losses he's still in shared first place in the tournament. So then, enough talking and writing about chess for one day. Time for chicken and then the long NBA playoffs night. It gets going with the dissection of another favourite who's lately scored only 1/3. Come on, Indiana Pacers, someone has to stop the Heat! You have to beat Atlanta today. Tomorrow it's back to chess. In all the post-game press conferences the main questions were not about chess but the “friendly” football session on the rest day. I don’t play football, I just follow it. I play hockey or tennis, but I’m not going to touch soccer. It’s not my sport. Maybe it was very important for him to win in some game – doesn’t matter if it’s football or chess – so maybe yes. It was fun playing football yesterday. I really needed a positive experience after the last couple of games. Maybe I took it too seriously at times. It was fun and I got a win today and now I feel like I’m on track to do well in the tournament. Radjabov: The only thing I know is that he almost killed the Chief Arbiter. Radjabov: Still, it was a scary moment. I once played a match against him on Spitsbergen, many years ago – 2006, to be precise. 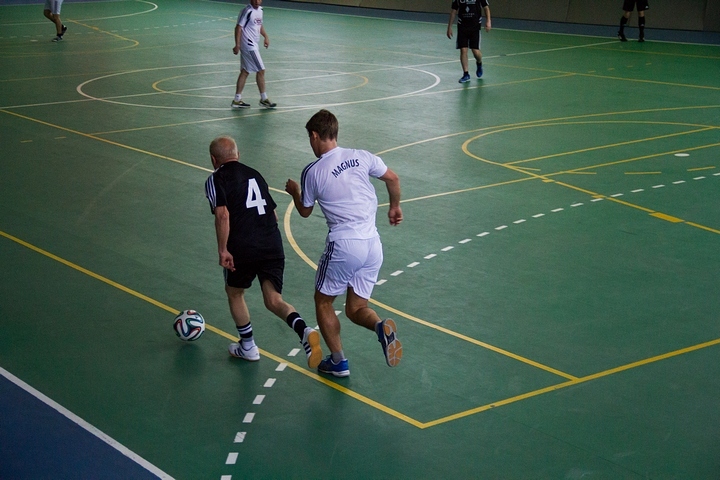 We played two “long rapid” games, but for the rest of the time we had nothing much to do, and on the Russian side of the island while we were waiting for the banquet we played futsal with one goal. There were five or six of us, including the then President of the Norwegian Chess Federation and his girlfriend, a very fragile creature – it seemed a puff of wind might blow her away. Then someone left and the play began to break down. So I suggested a round-robin penalty tournament – each of us would shoot against everyone else. Everyone agreed, including the girl. And that was when Magnus first demonstrated to me what would later become absolutely obvious to everyone – his absolute champion’s will to win. As we were shooting from quite close range everyone tried to go for placement – everyone, but not him. For all four of his penalties, including against the girl, Magnus took a 10-metre run-up and, as they say, let rip. 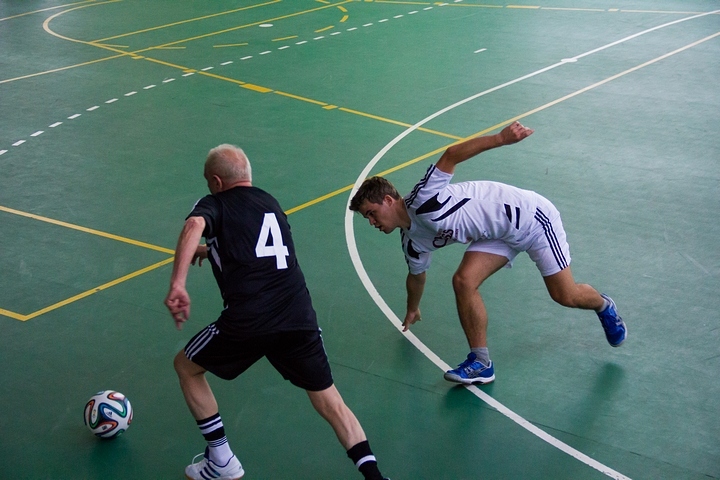 He plays football pretty well, and therefore injuries were avoided – he wasn’t aiming at people. Still, the spectacle was pretty terrifying, and it stuck in my memory. So after an eventful tournament so far Carlsen is back in shared first place with Radjabov, Mamedyarov has sunk further and the other players are locked on 50%. Don't miss our live commentary with GM Jan Gustafsson and IM Lawrence Trent!